Discover Barcelona's seafront and neighbouring districts, its landmarks, boulevards, sculptures and iconic attractions, such as the parc de la Ciutadella and the Arc del Triomf. Choose from three routes of varying lengths that will appeal to sea and nature lovers and urbanites. 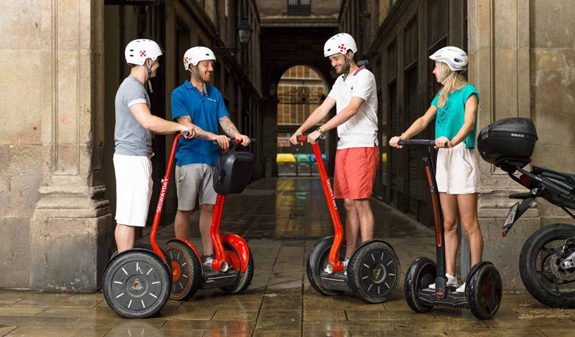 Intro Segway Tour 1h (4km): Barri Gòtic, Port Vell, La Cara de Barcelona, Passeig d'Isabel II, Parc de la Ciutadella and more. Insiders Segway Tour, 1.5h (7 Km): Barri Gòtic, Paseo de Colón, Port Vell, La Cara de Barcelona, Olympic Port, Parc de la Ciutadella and more. 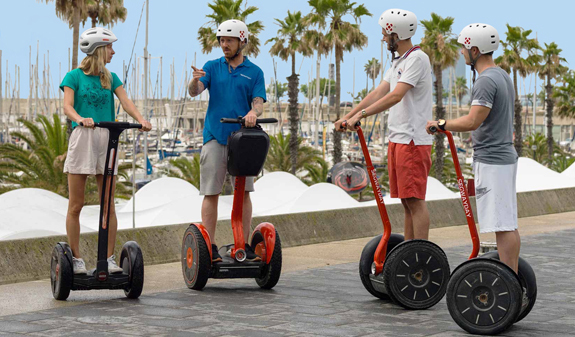 Grand Segway Tour, 2h (12 Km): Barri Gòtic, Monument to Columbus, Port Vell, The Face of Barcelona; Port Olímpic, Nova Icaria Beach, Arc de Triomf, Parc de la Ciutadella and more. Gaudí Segway Tour, 2.5h (14 km): Barri Gòtic, Port Vell, Parc de la Ciutadella, Arc de Triomf, District of L'Exaimple, Casa Lleó i Morera, Casa Amatller, Casa Batlló, Casa Milà, Basilica and Temple Expiatori of the Holy Family and more. Sagrada Família Segway Tour, 3h (16 km): Barri Gòtic, Port Vell, La Cara de Barcelona, Barceloneta Beach, Port Olímpic, Nova Icaria Beach, L'Exaimple District, Basilica and Temple Expiatori de la Sagrada Familia, Arc de Triomf, Parc de la Ciutadella and more. Good Morning Barcelona, 1.5h with breakfast included (5 km): Barri Gòtic, Paseo de Colón, Port Vell, La Cara de Barcelona, Port Olímpic, Parc de la Ciutadella and more. A guided segway tour chosen from the available options. Route subject to change due to the application of a new municipal by-law. 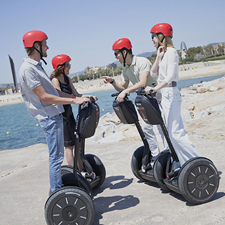 Intro Segway Tour 1h (4km): 10am, 11am, 12.30pm, 2pm, 4pm, 5pm and 6pm. 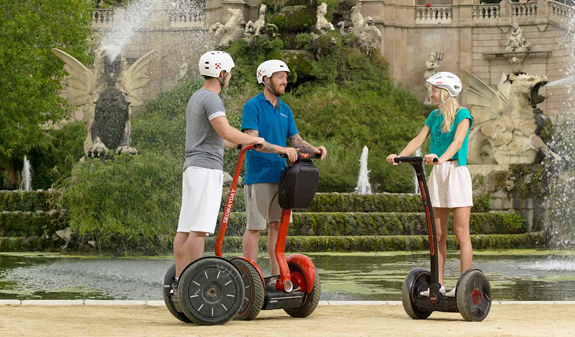 Insiders Segway Tour, 1.5h (7 Km): 10.30am, 1pm, 3.30pm and 5.30pm. 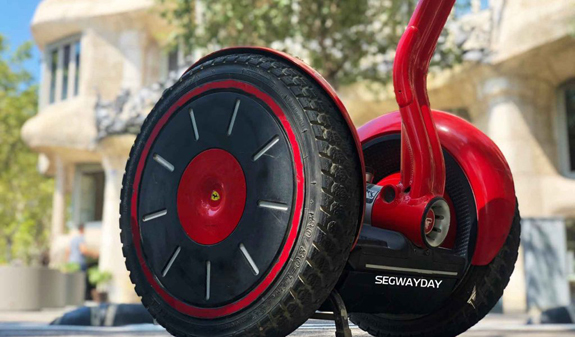 Grand Segway Tour, 2h (12 Km): 10am 12.30am, 3pm and 5.30pm. 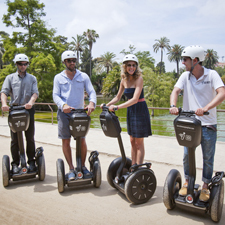 Gaudí Segway Tour, 2.5h (14 km): 10am, 12pm, 2pm and 3.30pm. Sagrada Família Segway Tour, 3h (16 km): 10am and 3pm. Good Morning Barcelona, 1.5h (5 km): 9.30am. Length: Mini Tour - 1 hour / Midi Tour - 1 hour and 30 min. / Gran Tour - 2 hours. Meeting point: Barcelona Segwayday: Rull, 2. Metro: L3, Drassanes stop. Bus 14, 59, 64, 120, D20 and H14. Groups up to 6 people with a guide. This activity isn't disabled accessible or suitable for the blind or visually impaired. Activity not recommended for pregnant women.